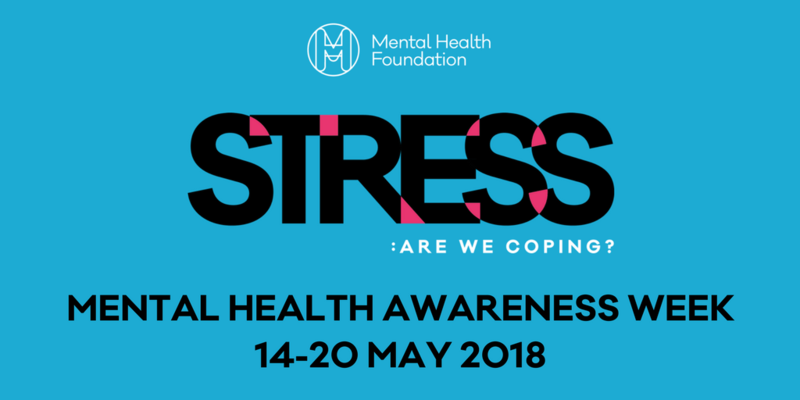 It’s Mental Health Awareness Week this week. I think it is very important for us to talk about our mental health and for the stigma surrounding mental health problems to end. This year the focus is on stress, something we all experience in life! We all struggle with stress at some point in our life. We all need help from time to time. If we had a physical illness we would probably be ok with telling people and asking for help. With mental health it’s usually different and it’s time that changed. We can all do our bit and be there for friends, family or colleagues when they need us. We can offer kindness and support. We can let people know that they are not alone. There seems to be a culture nowadays where we are expected to be stressed or we feel we should say we are stressed. If we’re not stressed, we can feel guilty and take on extra things. I would like the culture to develop where we don’t have to be stressed. Where taking care of ourselves is given a higher priority and never seen as selfish. There are lots of things we can do to reduce our stress, e.g. When we are stressed though, we often feel we don’t have time for these things and we need to make the time in order to stop ourselves getting overwhelmed by stress. I know from personal past experience just how bad stress and anxiety can feel. That is why I am so passionate now about helping people overcome stress and anxiety. It’s good to talk, so if you’d like some help please get in touch. Louise Tremayne is an experienced EFT Practitioner, Mindfulness Teacher, Coach and Therapist who specialises in helping people eliminate stress and anxiety. She offers sessions worldwide via the internet, or face to face in Okehampton, Exeter and Tavistock, Devon, UK. She loves to empower her clients by teaching them tools that relieve stress and anxiety. Thanks for visiting, I hope you've found it helpful. I'd love to help you. Drop me an email, or give me a call to find out more.